NASHVILLE, TN—A new bus pass program provides transportation for struggling Nashville residents. Stephanie Harris, executive director of Metro Workforce Development, noticed how often she and other members of Workforce faced the dilemma of getting new hires to the jobs they desperately needed. “People would call us and say they were hiring immediately, that they needed people fast. We had the people ready to work, but they had no way to get there,” Harris says. The solution became free bus passes. Advance Financial, along with Workforce developed this solution. The lending company does a lot of good for the community, according to Harris. Together, the companies decided to start a program where those facing economic and transportation challenges would receive vouchers from Workforce, exchanging them for bus passes at Advance Financial. Allen Parks arrived in Nashville as a homeless California native. He’d travelled all over the country and was in Orlando when he’d heard Nashville had a lot of opportunity. “It was true,” he says. 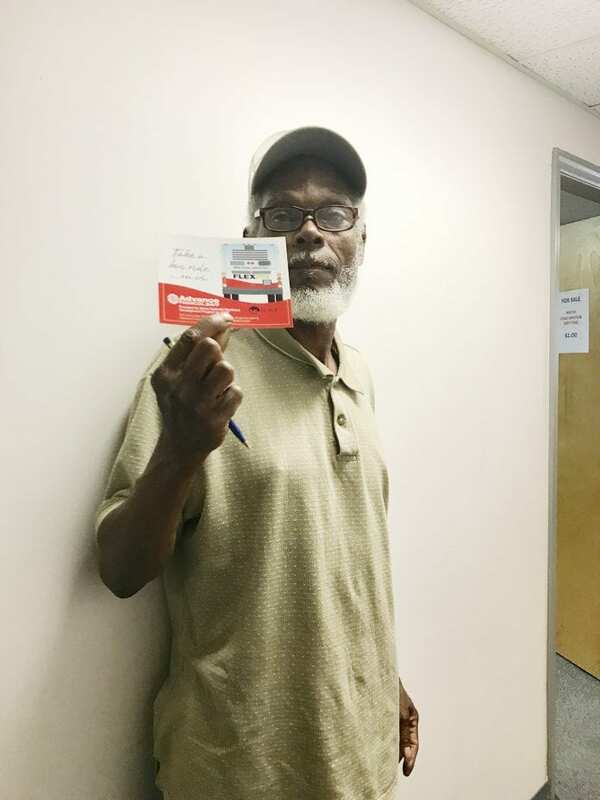 “There is a tremendous amount of work here, and a lot of social help.” He came to Workforce where he found a job and collected bus pass vouchers. “When you’re trying to get on your feet, you need transportation and a phone,” he reiterates. Parks boasts the benefits of Workforce’s bus pass program to everyone he talks to, saying Workforce’s programs changed his life. The new buss pass program has some flaws. “Unfortunately, the only Advance Financial providing bus passes is on Jefferson and 8th. And they only provide daily passes, so people will have to return at the end of the day to get a new one which can be an inconvenience,” Harris explains. In addition to limited resources for people to pick up passes, the program hasn’t caught on with most bus riders. Morgan Christopher Allred, frequent bus rider, hadn’t heard of the program. Workforce doesn’t determine the need for transportation on employment alone. Disadvantaged residents can show Workforce doctor’s appointments, school registrations, or other documents to the desk to receive vouchers as well. “If we feel like someone has a good reason, we give them a bus pass,” Harris states. The organization isn’t limited to only giving bus passes, either. They offer assistance to reinstating licenses and access to housing, both of which often come along with free vouchers. People who are interested in acquiring vouchers may pick them up at 1215 9th Ave N. in Nashville. If someone from Workforce is not available, the receptionist can provide them.